ATLANTA: "Georgia on my Mind"
What could be better for a city than a huge, worldwide and extremely famous event? The city of Atlanta, in the US would immediately tell you that there is no such thing like the Olympic Games to change radically the future of your city. 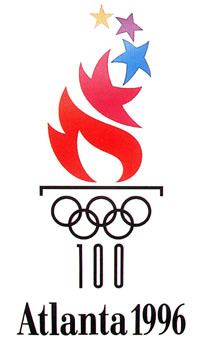 Indeed, having welcomed the Olympic Games in 1996, gave the city a relevant impulse in many ways: its attractiveness in terms of economy, investment, employment, education and quality of life have substantially improved its image, contributing in the promotion of Atlanta. For this occasion, Atlanta spent more than $2 billion in infrastructural changes and new construction projects. 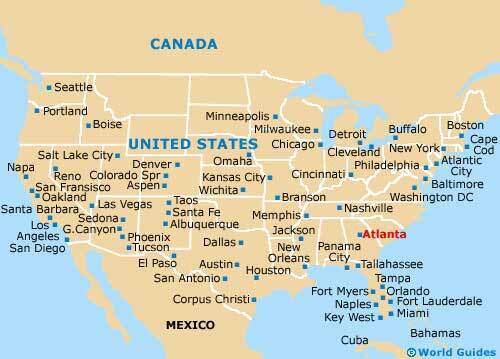 Economic capital of the Southern-East part of the US, Atlanta is one of the most connected cities in the world. In fact, Atlanta International Airport is one of the busiest passenger hubs in the world (more than 88 million passenger per year), linking the city to around 150 US destinations and 80 international destinations. This point is important as it allows the city to be more accessible and opened to the world, bringing more than 30 million tourists each year. With around 5 million inhabitants in its metropolitan area, Atlanta is also the headquarters of many worldwide companies, such as Porsche, UPS, the InterContinental Hotels Group, and especially: Coca-Cola. Since 1996, Atlanta is ranked in the top 5 cities with the most Fortune 500 headquarters in the US. And the role of these companies is enormous. Let’s take the example of Coca-Cola, which established its headquarters in the city at the creation of the company in 1891. They consider that without Atlanta they wouldn’t be where they are today, so they decided to participate in many projects for the city. For instance, the company gave more than $105 million to Emory University in order to renovate and develop it. The government of Atlanta understands that, in order to succeed, they need to work hand in hand with the companies present in the city and take responsibility for what the community needs today to ensure its sustainability for the future. This cooperation tends to be a success, as these companies also have a relevant interest in developing the city and, through this investment, guaranteeing their future. To follow with the growth of the city, THE brand Atlanta made a promotion campaign a few years ago (see video). The video is interesting as it shows the main centres of interests of the city we already mentioned. Nevertheless, I am pretty sceptical concerning the slogan. I mean “every day is an opening day” seems too simple and not appealing enough, which is quite disappointing for a city that has so many territorial branding agencies, they should have done a better job. Atlanta is also trying to find a way of being recognized by professionals of the sectors of Biotechnology. As a matter of fact, the Georgian State’s capital welcomed the 2009 BIO International Convention. Moreover, the city continues to promote the research, claiming to be one of the main centres of medical innovation, but I am not convinced that it is one of its main points of interest, as they also don’t mention it in the video. However, one of their main strengths would be in sports. Indeed, their baseball and football teams are among the major league sports of the country. It is important also to note that they really insist on the black culture present in the city: some famous rap artists such as Kanye West and Lil Jon were born in Atlanta. 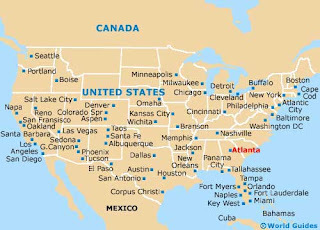 However, one should keep in mind the fact that Atlanta is a major city, but in the middle of nowhere, there are no other competing cities in the State of Georgia and in most of the Border States. Therefore, it represents a big advantage and Atlanta succeeded in taking advantage of it. The development of the city is quite impressive. Indeed, during the past few years, this big city has been turned into a major international metropolis, as its population grew by 20,6% between 2000 and 2008. Therefore, Atlanta is trying to make constant efforts to remain attractive and effective, focusing on the environmental trend, in order to be the ideal destination to launch careers, build businesses and start families. Recently, they have been building many ecological accommodations. Around 10 years ago, a $2.8 billion redevelopment project has been initiated (one of the biggest in the country) called The Atlanta BeltLine. This project aims to compensate for the lack of transportation alternatives, creating a network of public parks, Multi-use trails and transit along a historic 22-mile railroad corridor circling downtown. Working altogether with the companies, Atlanta contributed in developing some success factors combining quality of life, high education standards, business attractiveness, and employment with the charm of living in a Southern American city.